If you’re billing well in recruitment, you’re in high demand. Recruitment companies all over the world will vie for your attention in the hope you’ll go and work for them. You’re never going to take home all the money you bill in recruitment, unless you work for yourself. And because of this, incentives and benefits will be added to your base and commission like sprinkles on an ice cream sundae. One such incentive, generally only offered to recruiters who are performing exceptionally, is company equity or shares. On the surface, equity looks like a fantastic deal. Just imagine, the more placements you make, the more successful the business. And the more the company’s worth, the better your payout. Which with equity, comes straight to you. In most cases this is a great thing. But it can be quite a complex subject that needs research before you accept any offer. Luckily, we’ve done that research for you. What does ‘employee equity’ mean? ‘Equity’ means offering you a share of the overall profit of the company. 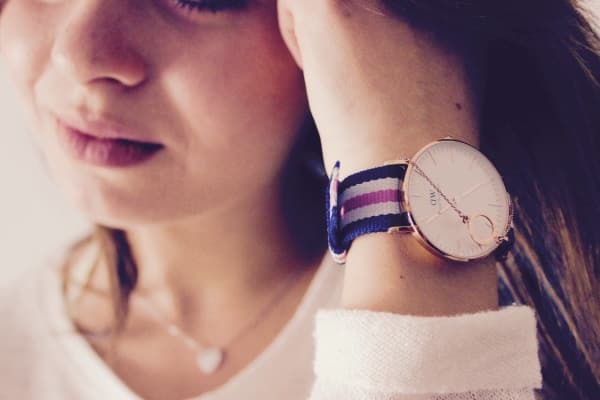 It’s a way of acknowledging the impact you have on the bottom line. It’s also a way of incentivising you by tying your reward to company performance. Fairly obviously, if you’re getting a financial reward off the sale or increased worth of the company you work for, you’re likely to want that company to do well. Therefore you’ll work harder. Be more of a team player and have more brand loyalty to the ongoing cause. You’re always going to rally round your colleagues if you’re financially rewarded from their deals. On top of normal commission, recruiters with equity can take a proportion of overall profits. Depending on the size of your employer, this could be a significant figure. 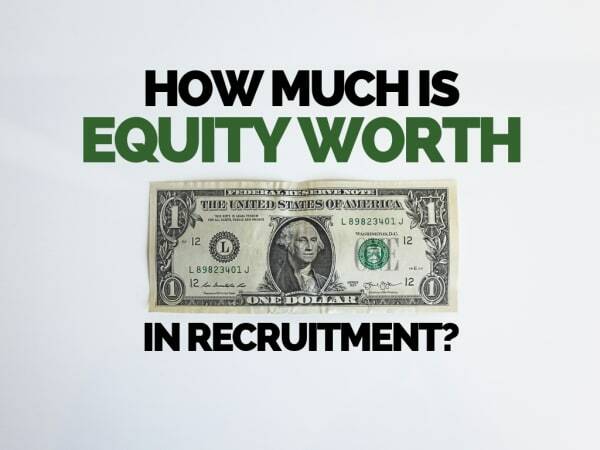 It’s easy to think of equity in recruitment as a chance to cash in big, but there are several things to consider that complicate that picture. There are two ways of giving equity. Stock or Options. If you’ve been offered stock this means you’ll own actual shares of the company. Options, on the other hand, mean you receive the right to buy the stock later, at a set price. This set price is called the strike price and is usually equivalent to the market rate or 10% lower at the time of issuing the options. If the company increases in value, the market value of the stock goes up. But the strike price of your options are fixed. The difference is, fairly obviously, your personal profit. If you have Stock, cash flow isn’t an immediate concern, as you already own the stock you’ve been given. With Options however, you need to come up with the money needed to buy, or exercise, the options. Say you’ve got 10,000 options with a strike price of £1, you’ll need £10,000 to buy the underlying stock. Most options have a time limit too, after which your right to exercise them expires and your options become meaningless. This is so your employer doesn’t lose too much money in the fluctuation of the realtime stock price. Equity doesn’t necessarily mean a pay out. Some companies will offer dividends. This is when some of the company profits are distributed to shareholders. Depending on your stock type and equity agreement, dividends are far from guaranteed. Profits can be reinvested in the company as retained earnings. For the recruiter with equity, this means your stocks are continuing to increase in value, but also you’re not seeing any actual financial reward in your bank account. ‘Common’ and ‘preferred’ are the two different types of stock that a recruitment company might offer. ‘Preferred stockholders’ get priority when paid dividends and during insolvency. Meaning ‘common stockholders’ will not receive any money until all the preferred stockholders have been paid out. Preferred stock also often means guaranteed dividends, while common stock can fluctuate much more. In exchange for this, common stock offers more profit making potential given the fluctuation in price, with preferred stock viewed as less risky. If you’re offered Options and have to invest your own money to buy underlying shares, the associated risk is obviously an important factor to consider. Equity’s never a short-term win. It can take a long time for it to mean anything. If you’re going into a startup recruitment company who offer you stock, that’s obviously great. However it may be a long time until that company’s sold. Therefore ask what the short and long term plans are of your proposed employer. Regardless of whether you’re earning Equity, Options or nothing at all in the first instance, you should know the short and long-term plan anyway. This doesn’t have to align to your own, but it should certainly shape your thinking. A vesting schedule, or delayed payment plan, is common. If a recruiter is given 1% equity in their company, for example, this 1% could be given in increments over a period of time. For example 0.25% a year for four years. Alternatively, your equity might come tied into a repurchase clause whereby the company reserves the right to buy back your shares at a nominal value if your employment ends. This point is worth thinking about, and examining in any contract. Given the nature of the recruitment industry, if you move on, you don’t want to suddenly find out your stock’s halved. By and large, attaining equity means staying for the long-haul. You really don’t want to be that recruiter with golden handcuffs, stuck in an environment you hate but are financially invested in. Employee equity has no actual financial value until your stock is sold (by you or the company). You can only sell your stocks once they’re fully vested. If your company is public, you can sell your shares easily on the stock-market, but selling shares in a private company is more complicated. It might be that your company offer a buy-back programme, or you might have to find a private buyer yourself if you want to make any money. Equity can be a brilliant incentive in recruitment. The buyouts, mergers and acquisitions in the industry are often frequent. But this is something you should know the chances of before even getting on to the subject. If you get equity, or even options, your brand loyalty and sustained performance can increase, which has obvious benefits for your career. Oh, and bottom line, it can also make you a lot of money. It’s not, however, a quick-win and it’s important to understand the implications of what you’re being promised ‘own paper’. Equity’s not a guarantee of making money. It can also carry risk. If you’re investing your own money into options, your financially tied into the future success of the business. A business which you may not have managerial or strategic control over. And fairly obviously, if the business folds, you’re likely to lose your investment. If you’re making sacrifices in career flexibility you need to be sure it’s worthwhile. More often than not however, equity schemes are a great incentive. The best way to look at it is, (with the right scheme) commission provides the short-term gain, and equity provides the long-term. For more reading on recruitment financials, click here.